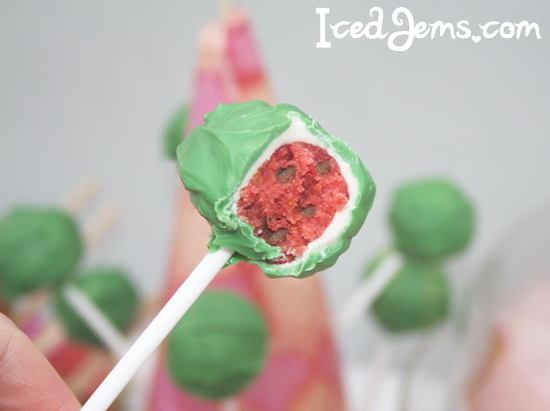 These “Watermelon” Cake Pops are very cute and a great surprise for kids to bite into! 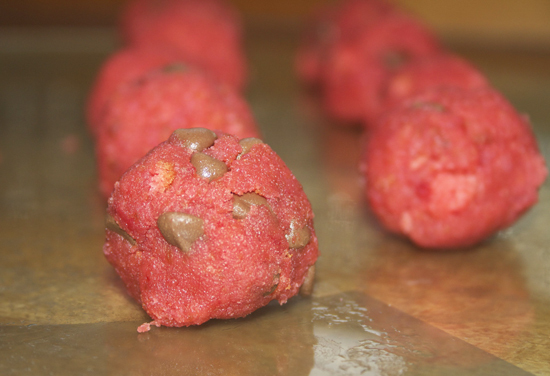 The Red Sponge and Chocolate Chips give the appearance of a Watermelon flesh and pips! 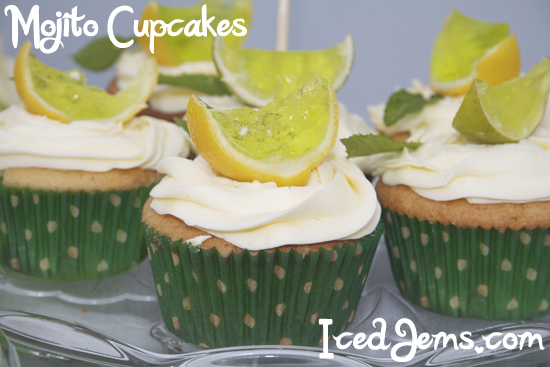 A great treat for summer parties, you might have seen these make their first appearance in my Birthday Party Post a few weeks back! 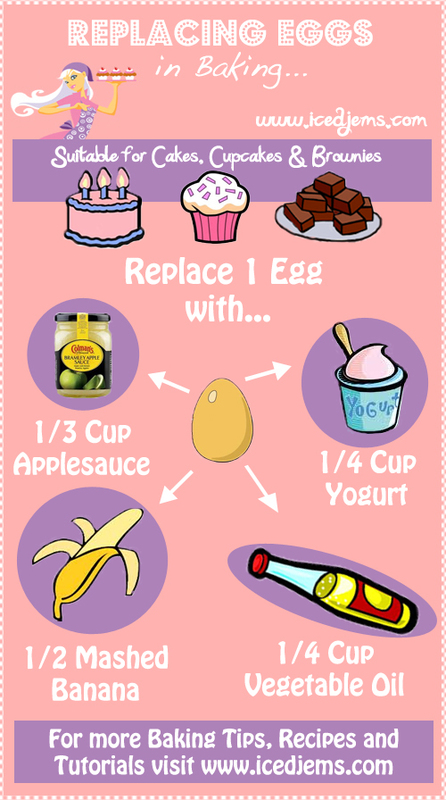 To make your cake batter, simply mix all together the Butter, Sugar and Eggs until thoroughly combined. 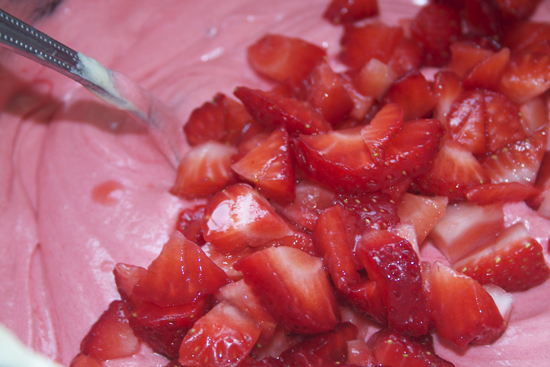 Then add half the milk and half the flour and mix, repeat until it has all been added. Finally, add the salt and baking powder for another mix. 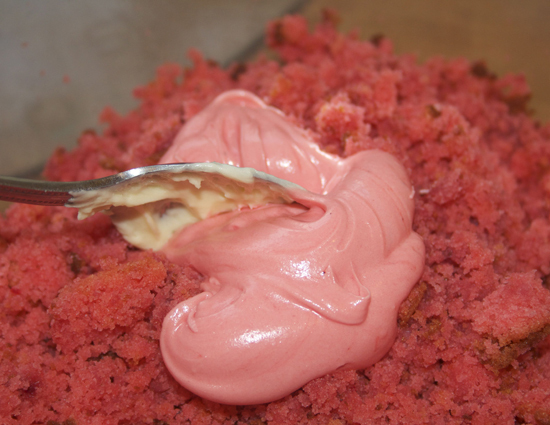 Add the Red Food colouring to your sponge until you get a vivid pink colour, I also added chopped strawberry pieces for extra colour and taste. 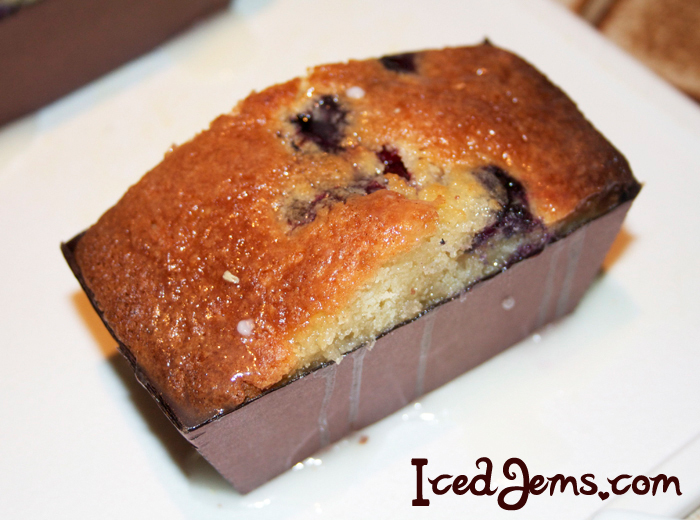 Now simply pop into a Baking Tin and bake for approx 30 mins until you have a light spongy texture. Remove from the oven and allow to cool on a cooling rack, you can see the nice bright colour I got, I used a Gel colour which is always best! 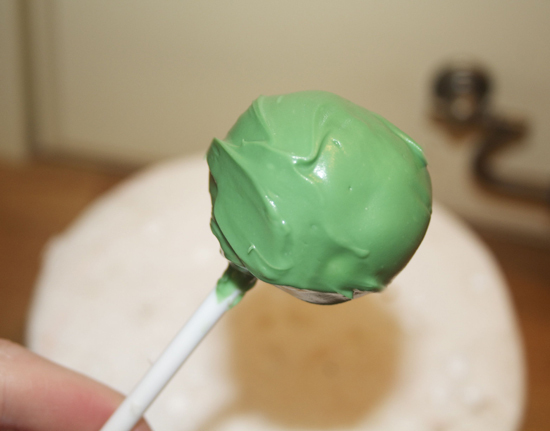 Cake Pops involve mixing cake crumbs with frosting, so you need colour your frosting before you do this. 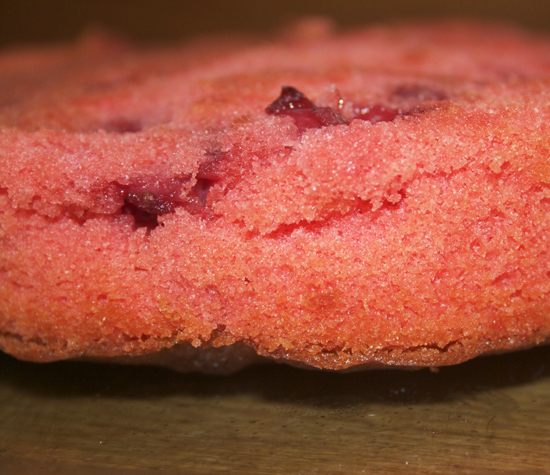 I used more of the Red food colouring to get a nice pink effect. 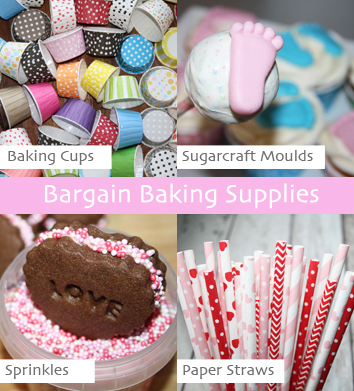 To make your Cake Crumbs, either pop the sponge into a food processor or break the sponge in two and rub the pieces together breaking it into crumbs. 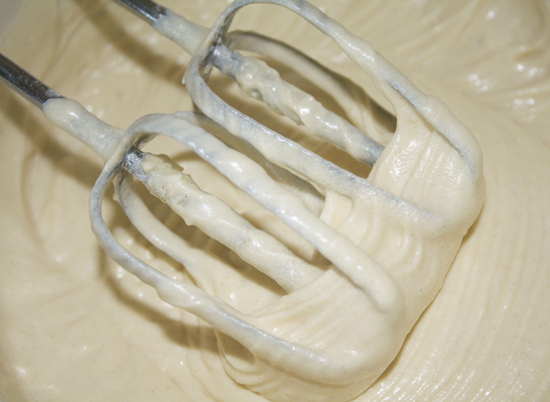 Next ad your frosting to the crumbs, add a little at a time until you have a dough that you can roll into balls – you might not need all the frosting for this. 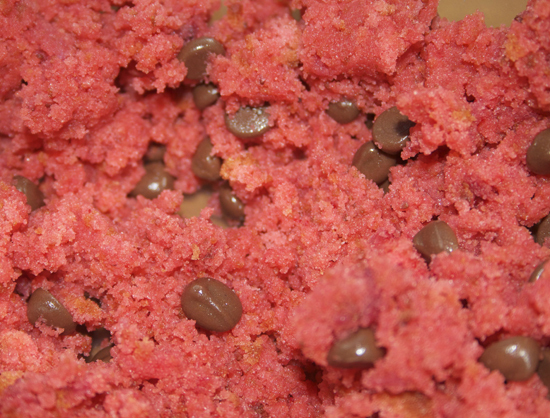 You can now stir in the chocolate chips, these will act as the “pips” for the watermelon. 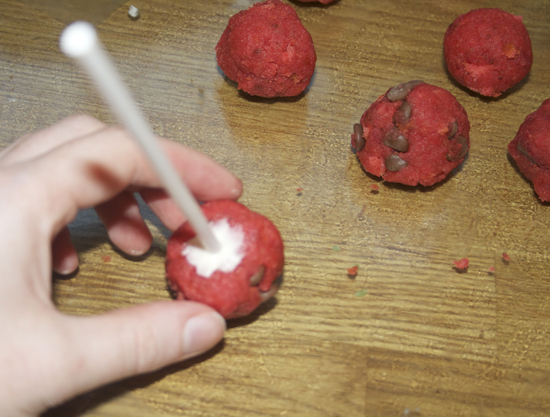 Roll the mixture into small balls that will fit onto the end of your lollipop sticks, then pop into the fridge so that they set a bit harder. 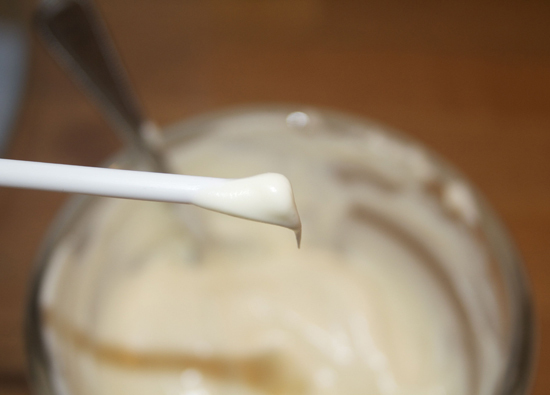 Once the Cake Balls are cool and slightly firm, melt your White Chocolate into a small bowl (wide enough for dipping the Cake Pops into). 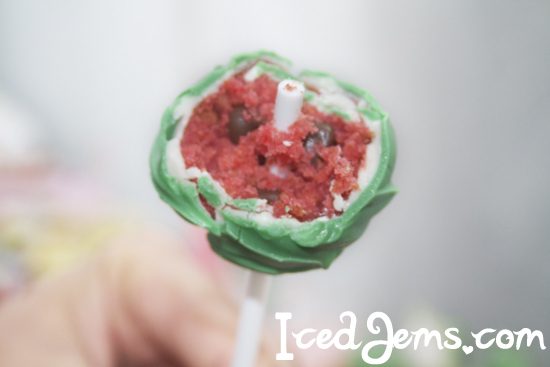 Take a lollipop stick and poke it into one of the Cake Balls, about 1/3 of the way in. 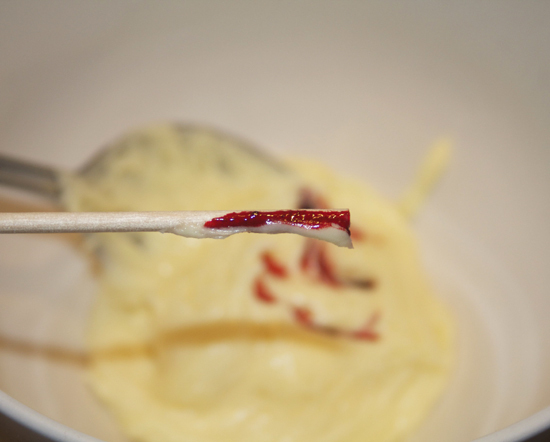 Then take the lollipop stick out, dip it into the white chocolate then place it back into the hole you just made and leave to set. 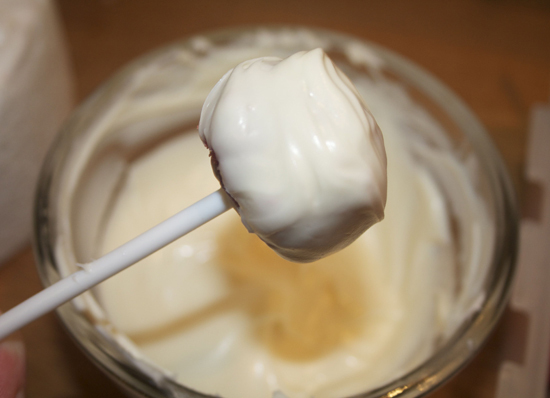 Now pick up the cake pop by the lollipop stick and dip it into the white chocolate until fully covered, shake lightly to remove any excess chocolate and stick into some polystyrene to set. 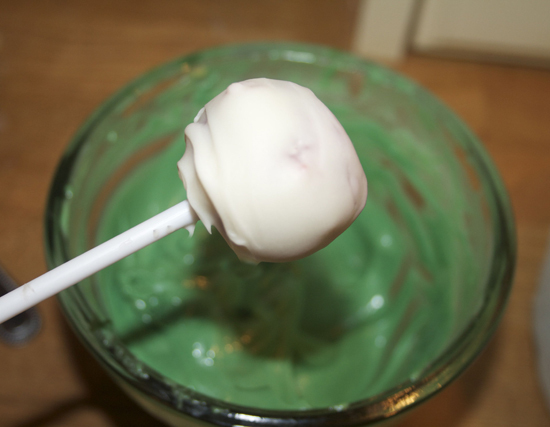 Once the white chocolate has set, you can dip a second time – but this time into your Green Candy Melts. 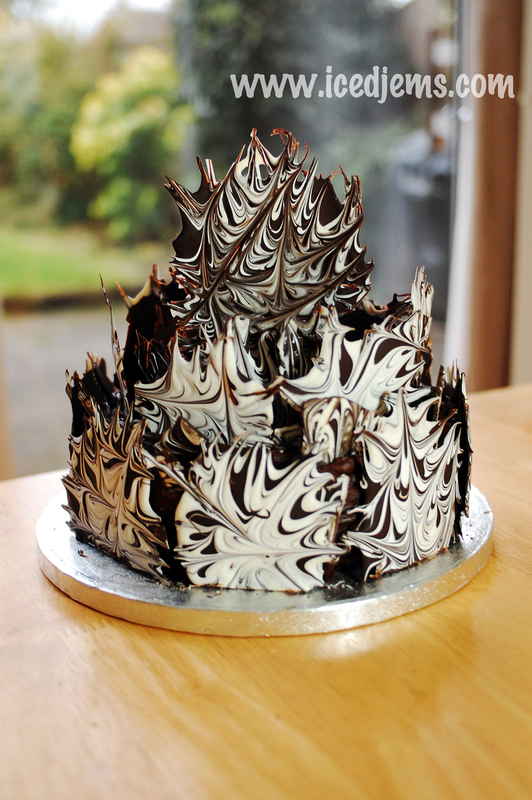 Candy Melts are available in most cake decorating shops in the UK, and even Hobbycraft, melt as per bag instructions. 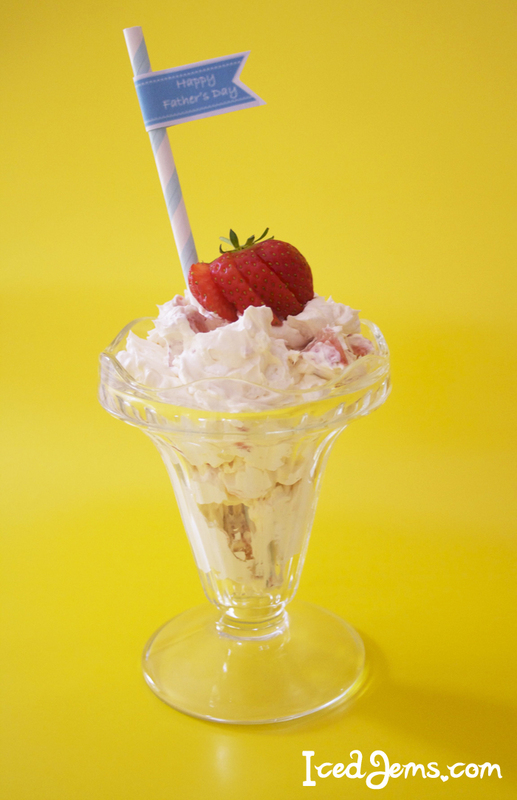 Dip into the Candy Melts until completely covered then leave again to set before serving! They might look plain on the outside, but once you bite into these Cake Pops they are a real treat!